Former Indian captain Sourav Ganguly’s fondness for driving in England is well documented. But not many know that he preferred driving over travelling in the tube after what he described as “one of the most terrifying moments” of his life during his first tour to England in 1996. The incident happened during Ganguly’s first tour to England where he announced himself on the international stage by scoring a century on debut and finishing the series with two centuries in three matches with an average of 105. It all took place when the legendary Indian captain had some free time and decided to go meet some family in Pinner along with Navjot Singh Sidhu from Cavendish in Piccadilly. In the book Beefy’s Cricket Tales in the chapter “Troubles in England”, he described exactly what transpired while he was travelling on the London Underground. He admitted that he didn’t get a “good feeling” about the group of youngsters and tried to look at other things but couldn’t help but noticing that they were getting restless and suddenly one lad finished his drink and threw the can at them. Extra Cover: Indian team when Sourav Ganguly and Rahul Dravid made their Test debut - Where are they now? What ensured was a melee in which there were several punches thrown and things got ugly but even that couldn’t have prepared Ganguly for what was to happen thereafter. Thankfully for Ganguly, one of the girls saved his life by taking the boy off the train. 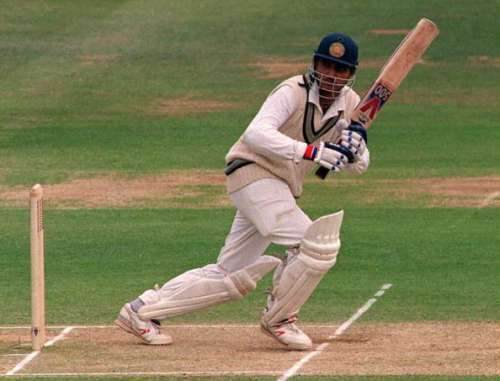 Despite this incident, Ganguly had a memorable debut series in which he would go on to score two of his 16 Test hundreds and began a career that would culminate in him leading India to a Champions Trophy and the ICC World Cup final in 2003.